Fast and easy - Fix your sideways or upside down video! 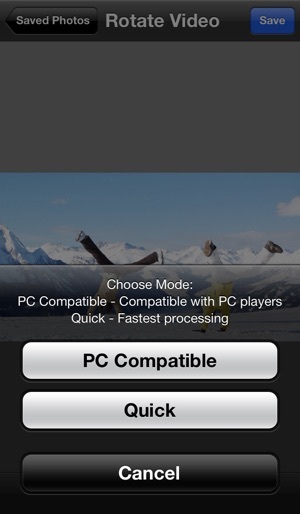 ▷ Added "PC Compatible" mode to fix sideways video with Windows players. If your videos are sideways or upside down when played on Windows; or if your video is recorded sideways, let Rotate Video HD fix it. Rotate Video HD needs permission to use your location information. 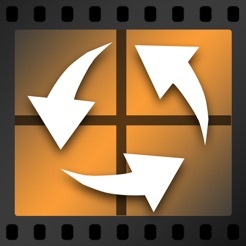 This is solely used to load videos from your Photo Albums without re-compressing them. We do NOT gather, keep, share your location information. 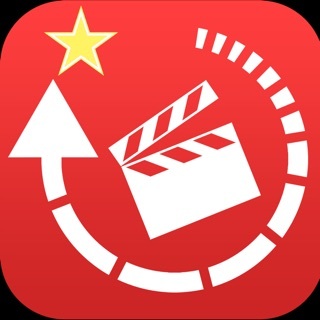 Please use QuickTime player to play flipped video OR use "PC Compatible" mode to export if other video players failed to parse the orientation correctly. 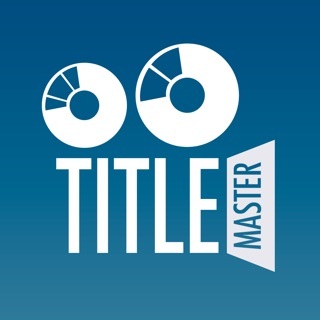 Owned this app for several years. I've needed it twice to fix videos that were somehow upside down. One video was over 3 minutes, the second was just over a minute. Both times, this app worked perfectly. Used this in the iphone 4 to 5. It's simple. It does what it says. This is exactly what I needed! Far more convenient than the QuickTime 6 solution, especially when I'm not near my iMac. It worked as advertised for me and I recommend it if you need to rotate video right on your iPhone. 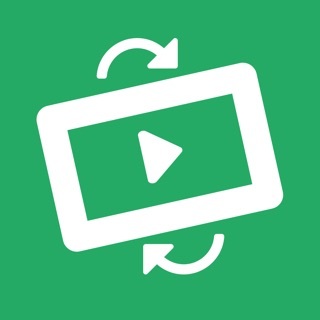 This is a quick and easy app to rotate videos. Never had issues with it. It's on the list to not be compatible so please update. I'll give it 5 stars if updated.